Empatía, “empathy” in English, is used to describe the ability that some people have to understand the thoughts of others. It also describes our approach to running a hotel, and explains why we have chosen it as the brand name for our wines. A few years ago, Merche and José Luis, the proprietors of the hotel Villa de Ábalos, took on the management of a three-hectare family vineyard with more than half a centurys history behind it. Varieties: Viura, Malvasía and Garnacha Blanca grapes, in proportions that are difficult to quantify, due to the age of the vines and the fact that they are spread out over a large area and mixed among red-wine varieties. 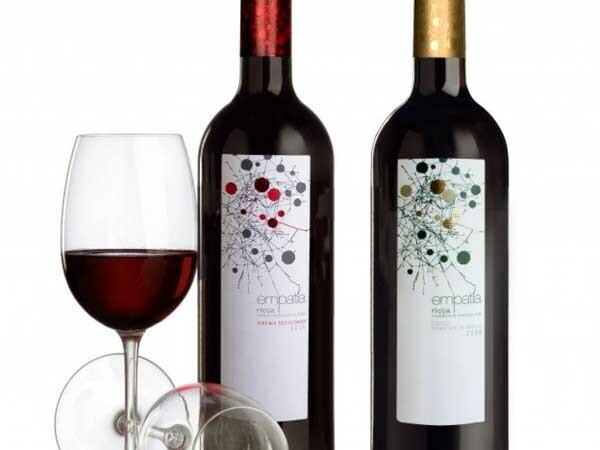 Varieties: Tempranillo (90%) and Garnacha (10%). Fermentation: CAged for ten months in casks of new French oak (90%) and American oak (10%).